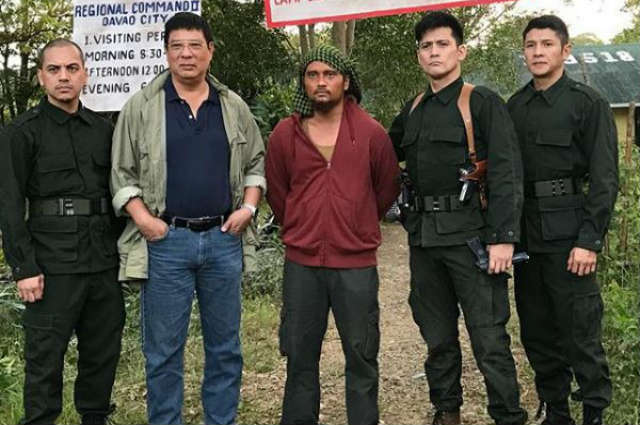 Actor Robin Padilla learned about the calls to boycott his upcoming film “BATO THE MOVIE: The General Ronald Dela Rosa Story” which will tell the story of the former Philippine National Police chief. In a report by Pep, Robin could not help but express his dismay over the reports about director Lore Reyes who allegedly blocks Facebook friends promoting the movie. “Bakit isinasama niyo… ibu-boycott niyo ang kasama niyo sa pelikulang Pilipino? Dahil lang sa pulitika? Ganun na ba tayo kababaw na,” Robin asked. Meanwhile, he could not help but express his frustration over politics, taking over some people’s lives. The film, directed by Adolf Alix Jr., will be screened in cinemas on January 30.